The new tax law, passed late last year, made a number of changes to the tax code, one of which, was the imposition of a transition tax on untaxed foreign earnings of overseas companies owned by U.S. shareholders. According to the new law, these types of foreign earnings that are held in the form of cash, or a cash equivalent, will be taxed at a rate of 15.5 percent, while all remaining earnings will be taxed at the lower rate of eight percent. These transition taxes can generally be paid in installments over an eight year period, as long as a taxpayer filed a timely election. Fortunately, the IRS recently announced that it will be waiving certain penalties for late payments of the transition tax. 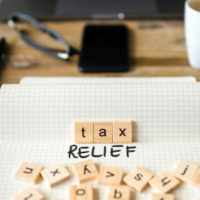 Although this is a welcome reprieve for many taxpayers, it is still important for those who have may qualify for the transition tax, to speak with an experienced tax attorney who can ensure that they pay the correct amount and avoid penalties. Who Qualifies for the Waiver? According to the announcement made by the IRS, the agency is willing to waive the tax penalty for those who are subject to the transition tax and who improperly attempted to apply a 2017 calculation to their estimated tax for this year. However, even taxpayers who fall under this category will only be eligible for the waiver if they make all required estimated tax payments by June 15th. Similarly, individual taxpayers who did not make their first annual installment payment by April 18th will be eligible for a waiver of the late payment penalty, but only if the installment is actually paid by April 15th of next year. However, these deadlines could be extended for taxpayers who both live and work overseas. In both cases, this relief is only available to taxpayers whose total transition tax debt falls below $ 1 million. It is also worth noting that even when taxpayers qualify for a waiver of their transition tax penalties, interest will continue to accumulate. Qualifying for this waiver is important because without it, a taxpayer’s remaining installments, which would normally have been due over an eight year period, would become due immediately. Fortunately, even taxpayers who have already filed this year’s tax return, but didn’t elect to pay the transition tax in eight yearly installments, have been given additional time to make this election. In order to take advantage of this reprieve, taxpayers must file Form 1040X by October 15th of this year. Call Today to Schedule a Free Consultation with Dedicated Tax Attorney Ronald Cutler, P.A. The Tax Cuts and Jobs Act of 2017 made a number of important changes to federal tax law, including how transition taxes on foreign earnings are calculated and paid. For help understanding how these changes could affect your own tax situation, please contact dedicated Florida tax attorney Ronald Cutler, P.A. by calling 386-490-9949 or by sending us an online message. A member of our legal team is standing by to help you with any of your tax-related questions and concerns, so please don’t hesitate to call or contact us online today.